Need an office or lobby display for your featured listings? 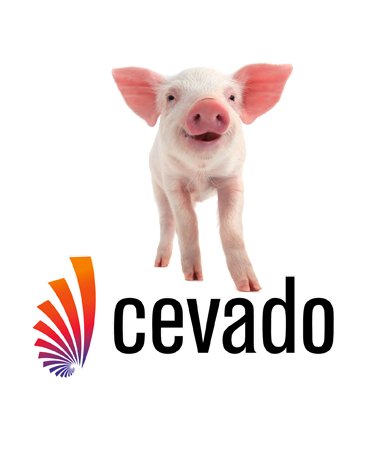 Cevado gives you yet another simple time saving solution that automatically displays any the listings you choose in a professional presentation. You can choose from specific MLS numbers, an entire neighborhoods, a price range, or any other combination you desire. 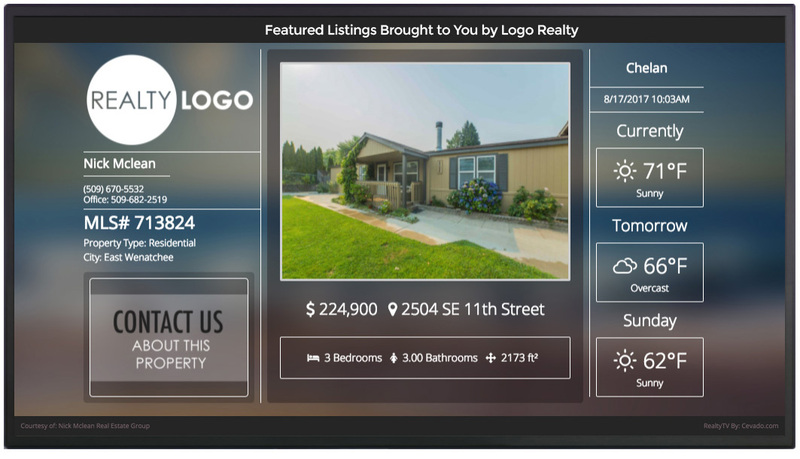 The Featured Listings Office and Lobby display module is all automatically driven from your MLS data. No need to update listings. They will always have the most current pricing and images. Realty TV is a perfect way to capture foot traffic walking by your office or any high visibility window or lobby. Your office window or lobby is a given, but what about partnering with a Coffee Shop, Office Building, Airport, etc. We have designed Realty TV to work best on a wide screen but the design is responsive to multiple screen sizes. Of course Realty TV has your branding and contact information. Your contact information is displayed prominently. We included a local weather bug to help attract additional foot traffic or give anxious companions something to look at. The mortgage calculator can be generic or it can be branded to a specific lending partner to help offset costs. Of course a 72″ TV will look great, but the responsive deign makes it perfect for mobile pads and devices. We have a selection of standard colors that will work for most applications, but you can also have us customize it.